What is the all-time best dunking cookie? Italian biscotti. Whether it's a glass of sweet wine or a mug of steaming coffee, biscotti's firm, crunchy texture stands up to dunking like no other cookie I know. Biscotti, (pronounced bis-caught-tee), have been around since Roman antiquity. The name is from the Latin biscoctus, meaning "twice-baked," since they were baked twice in the oven. Originally, biscotti was a practical food; because they were dry and sturdy, they were easily transportable for long journeys. It wasn't until the Renaissance in Tuscany, that biscotti became considered a treat. They were served and often dunked in wine, such as vin santo. Because of biscotti's hard, crunchy texture, people eventually people began dunking them in hot drinks such as coffee as well. 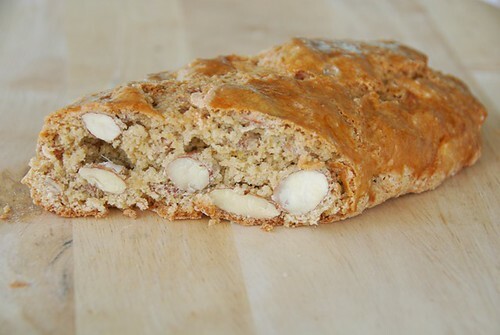 Though original Tuscan biscotti were made with almonds, today's biscotti come in an endless array of flavors. Some are made with anise, others with coffee. Many are studded with nuts and dried fruit while others are dipped in chocolate. There really is a biscotti to please everyone. If you're looking for a fool-proof basic, traditional Italian almond biscotti recipe, then you're in luck. Today I'm sharing my mom's recipe for Traditional Italian Almond Biscotti that are satisfyingly firm rather than jaw-breakingly hard and are chock-full of toasted whole almonds and laced with fragrant orange zest. They're our entry for Eat Christmas cookies, which is running through December 21st. Check out the delicious entries here. Biscotti are really easy to make. I swear. And the more you make them, the easier they become, since you'll develop a feel for the dough and the texture. Once you get the hang of making biscotti, feel free to adapt this recipe. For example make a festive Christmas biscotti by replacing almonds with pistachios and adding dried cranberries or cherries; or dip them in chocolate like my mother-in-law does. Work the batter together with lightly floured hands. 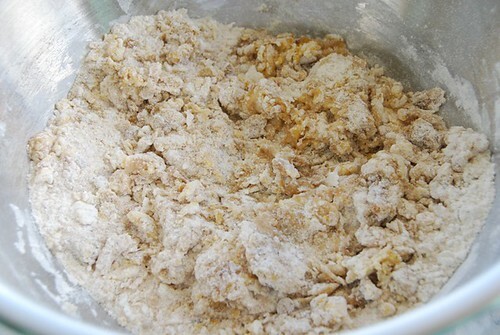 At first the mixture will be sticky and crumbly, but persevere. Keep squeezing the batter with your hands until a dough starts to form. After a few minutes, the finished dough should be firm and smooth. 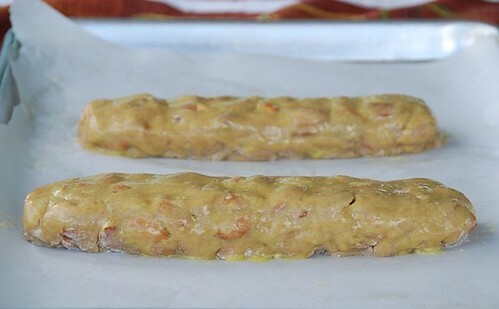 Using your hands, form the dough into logs, then brush with an egg wash, which will render the cookies shiny and golden. Baked loaves should be cooled for approximately 20 minutes before slicing. As seen above, biscotti are still soft when taken out of the oven. That's where the "twice baked" part comes in. Slice the biscotti with a serrated knife by gently sawing in a back-and-forth motion to avoid breaking the cookies. Then place slices on their sides back on the baking sheets. Now either bake them in a heated oven again for 10-to 20 minutes or turn off the heat and let the biscotti stay inside the warm oven from 30--60 minutes. The longer they stay, the harder they will become. Cool biscotti completely before storing in an air-tight container, preferably a tin, which helps keep them crisp. Stored properly, biscotti will last up to a month. Of course, if you're like me, you won't have any biscotti left after about three days. My mom's almond biscotti are satisfyingly firm rather than jaw-breakingly hard and are chock-full of toasted whole almonds and laced with fragrant orange zest. They are ideal for dunking in a mug of hot coffee. Preheat oven to 350 degrees F. Line two large sheets with parchment paper. Place almonds in a single layer on a baking sheet and toast in the oven at 350 degrees F. for 10 minutes. Remove and set aside. In a large bowl, hand mix toasted almonds, sugars, cinnamon, baking powder, and flour. In a small bowl, whisk eggs. Add the vanilla and orange zest and whisk until well blended. Add to the flour mixture. Work the batter together with lightly floured hands. The mixture will be sticky, but persevere. Keep squeezing the batter with your hands, until a dough starts to form. Once the dough is firm, form a ball. Divide the ball into four equal pieces. On a lightly floured surface place one piece of dough, and using your hands, roll into a log shape that is approximately 8 inches long, 2 inches wide, and 3/4 of an inch high. Repeat with remaining three pieces of dough. Place two logs per baking sheet. Bake for 40 minutes, or until the tops of the loaves are shiny and deep golden. Cool on a rack for about 20 minutes before slicing. Place a loaf on a cutting board, and using a large serrated knife, slice cookies 3/4 of an inch thick on the diagonal. If the cookie is crumbling, then let it cool a few more minutes. Don't let it rest too long, however, or they could become too hard to slice. Place slices on their sides back on to the baking sheets; place in the still warm oven with the temperature off and the door closed for 30-60 minutes. The longer they stay in the oven, the harder they will become. Remove from oven and cool completely before storing in an air-tight container, preferably a tin, which helps keep them crisp. Stored properly, biscotti will last up to a month. These may just become the Christmas gift to my brave office cohorts. You make it all seem so, um, do-able! Great biscotti bella! Great for my daily double espresso! Thanks for sharing this recipe! I love biscotti and those look gorgeous! wow how nice these look great !!! 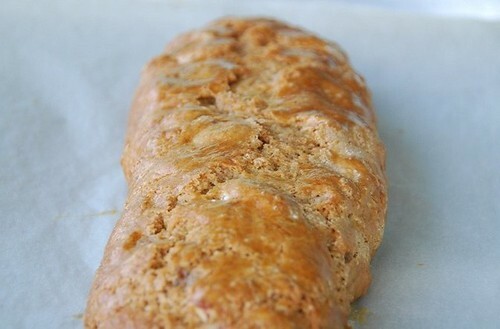 I love cantucci, whenever I make them I use almonds and anise seeds in the dough...yum! Your mum's version with cinnamon must be delicious too! Hah, I hate the break-your-teeth version of biscotti too! No matter how long you dunk, they're still not as good as "satisfyingly firm" as you say. Thanks for the ricetta! Did not Nancy Sinatra sing, "These biscotti were made for dunkin'...and that's just what I'm gonna do"! The classic is still my fave. Probably the best thing to come out of the Renaissance! I LOVE biscotti, and the egg wash makes this look particularly gorgeous! I have never made biscoti as i always thought they were really difficult to make an dnow you tell me they are so easy. Thanks for sharing this - and as always the pics are nothing short of amazing! I just love biscotti, especially dipped into coffee in the morning. This looks like a wonderful recipe. Hey, I've made this "dough" before! Love them dipped in chocolate! i loooooooove vin santo. i remember the first time i ever had it, at my family's house in connegliano. such a great memory. and biscotti dipped in a cappuccino? mmm. these look lovely. i still need to email you my cookie submissions. i have one more recipe to make. The first time I made biscotti I was happily surprised how easy it was. So if anyone reading this hasn't tried them, I say go for it! I feel like people would be so impressed with homemade biscotti, since no one seems to make them. And you could package them in such cute ways since they aren't ridiculously fragile - perfect for holidays! I love the idea of dipping biscotti in chocolate. It would taste delicious and add a touch of class. Now I'm tempted to make some biscotti! Thanks Susan! I love biscotti - can't wait to try your recipe out. The almonds look tasty. I always enjoy a fresh baked biscotti when I grab a cup of coffee at my corner coffee shop. it's been a while since i made biscotti. love the recipe here! 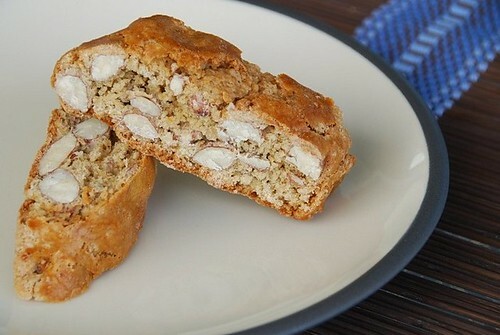 I have been a fan of biscotti snce we made them for TWD - and these look delicious! I love biscotti! I made them years ago and promptly lost the recipe. To be honest, I love all the Italian cookies. I've never made biscotti before, so I know where I will come when I do make it! I can see I'm going to have to make another cup of coffee here! They look crisp and delicious Susan! I usually make biscotti every year, but haven't had time yet. Thanks for the reminder. I will have to try this recipe! Looks wonderful! Twice baked = double happiness! Yours look completely delicious! peter-It doesn't get better than that! happycook-They really are easy to make. Promise! kate-It really is a good one. heather-I'll be looking forward to it. And biscotti and cappuccino are a match made in heaven. culinarywannabe-That's so true. They do travel well. Thanks! eve-I hope you like them! cakelaw-I never tire of them. maria-You're welcome! Hope you find the time. Love the chunkiness in your biscotti. Will definitely keep your tips in mind since I'm about to bake a batch soon. I always wanted to try make my own biscotti... especially with almonds... all my family love them... so I may try your recipe very soon :) Thank you for sharing. 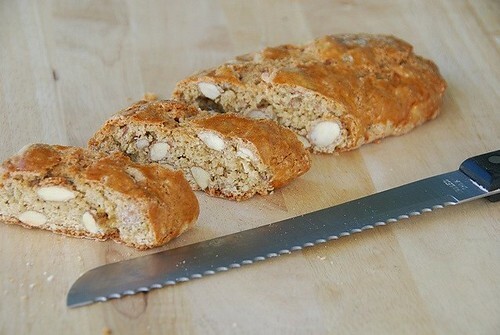 This Almond Biscotti looks so beautiful with the colors, I'm sure it'll be a big hit with the kids! Although I'm to a big fan of Biscotti, this sure looks yummy! I'm normally the one that will say no to Biscotti. Hi. I've made this recipe twice and love the flavor and the smell while they are baking. I am a seasoned baker, but have had issues both times with this recipe getting the dough to firm up. I followed your instructions and squeezed the dough for awhile and both times, the dough was extremely sticky. I could not form it into a ball, but yet it stuck to my hands. I managed both times to get the dough onto the cookie sheet and formed it into a log there with extra flour. Am I doing something wrong? I thought maybe about switching from jumbo eggs to large? Please let me know if this happens to you too, because I really do love this recipe and would like to continue using it, but I get so frustrated with the dough. anonymous- Thanks so much for leaving your comment. I'm sorry to hear that you're having trouble. To your question, does it happen to me? No (and I'm not being snarky or unsympathetic). That's not to say that I have some magic trick that I'm withholding from you. I posted this recipe precisely because it works so well, so if you're having problems, let's think it through. After you squeeze the dough and it starts to hold together, do you rinse your hands off? Or maybe dust them with more flour? That might help. If it's really sticky, try using a different type flour, or as you suggested, a smaller sized egg. Different brands can act differently. But don't worry about having to add more flour to make it less sticky. That's OK. 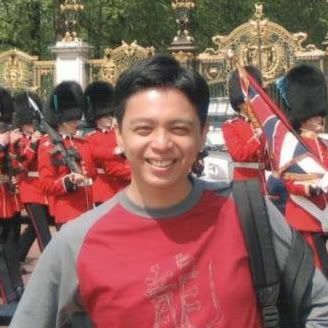 I wish I could offer more advice beyond that, but try those and let me know. Good luck! Thanks for responding. I have been meaning to get back to you about this, but I have two little guys who keep me busy!!! I think I discovered what the problem is with my dough. 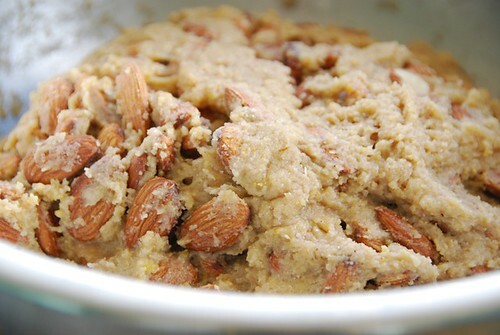 I have been mixing in the almonds while they are still warm out of the oven from roasting. I made this recipe using cranberries and walnuts (not roasted) and the dough was more manageable. I think I'll need to let the almonds cool next time before mixing into the dough. Thanks!! BTW, it's great with cranberry, almonds, and drizzled bittersweet chocolate!! I'm so glad you commented again. I've been wondering how you made out. I'm glad you found the source of the problem. yes, cranberries and walnuts sounds lovely! Thanks! The absolute best biscotti ever. They are near perfect every time. My husband is Italian and prefers these over any other. We all LOVE them. Thanks so much for sharing the recipe.